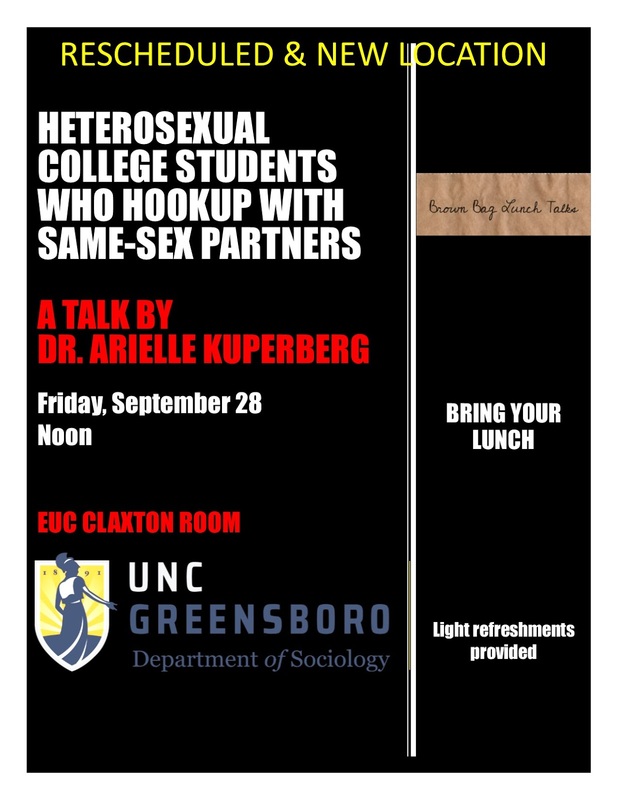 Who: Dr. Arielle T. Kuperberg in the UNCG Sociology Dept. The poet, teacher, and scholar Stacey Waite will be visiting UNCG campus from the University of Nebraska-Lincoln on Sept. 18th - 19th 2018. Through the support of the English Department, the MFA Program, the Women's and Gender Studies Program, and HNAC, faculty and graduate students will have several opportunities to engage with Waite's exciting work. 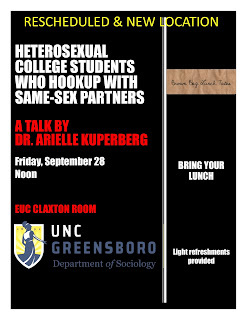 Bring: Please bring a digital or hard copy of a syllabus to use as a point of inquiry. What: Open discussion about professionalization, research, academic careers, and more. Waite's most recent book, Teaching Queer: Radical Possibilities for Writing and Knowing, is available at the UNCG bookstore and is fully available digitally through the UNCG library, in case you'd like to check out Waite's work in advance of the visit, or assign any chapters in your courses. You are invited to join the Office of Intercultural Engagement for their annual LGBTQ+ Reception, bringing together new and returning students, faculty, staff, and alumni, all LGBTQ+ or allied, as they kick-off a new year. This provides a visual showing of support for LGBTQ+ students, while giving them the chance to connect with many resources and opportunities for engagement in one place!